CSOP launched the pioneering RQFII ETF product in European Market CSOP Asset Management and UK exchange-traded product provider Source launched the first UCITS RQFII ETF for trading in the European Market. 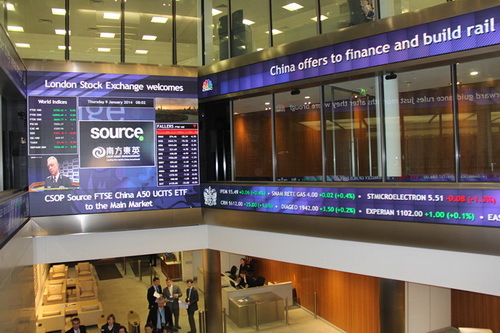 The “CSOP Source FTSE China A50 UCITS ETF” has received welcoming market responses, it has recorded RMB 1.42 billion on its first batch subscription, representing 94.3% of the fund amounts it received. 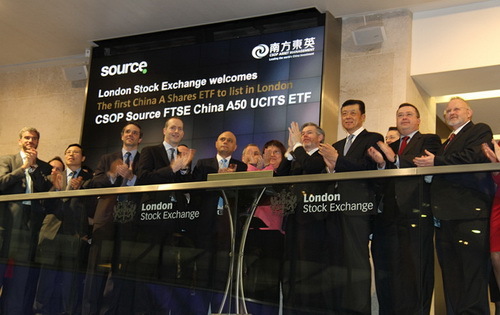 The fund was listed on the London Stock Exchange on 9th January, 2014. Ms Ding CHEN, CEO of CSOP, expressed that the ETF has received positive market responses when it listed in Hong Kong, and she expected that the European investors would resemble similarly strong interests in ETF products.